Shows starts with a reenactment of Carol killing and burning the bodies. 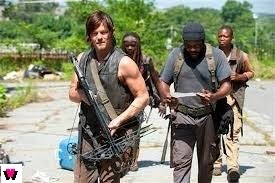 Darryl and the gang are making their way on foot. Carol and Rick are riding together on a run. Carol tries to justify her actions. 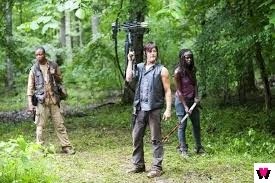 The gang finds themselves against walkers in a bush with Tyrese having a close call. Rick and Carol meet a couple in the house that they are scouting for supplies. Rick begins asking his three questions to the couple. They appear to have a little bit of sense. Michonne has an honest talk with Tyrese telling him that anger makes you stupid. Carol wants the couple to help and Rick keeps looking at her as if she is crazy. The gang gets the car up and moving. Carol believes the couple will be helpful in their survival. 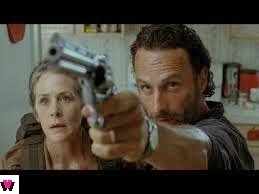 I have to give Carol props for telling Rick to accept her actions. Rick asks Carol about her daughter and why she doesn't talk about her. Rick and Carol go to the greenhouse and find the body of the female of the couple has been eaten by walkers. They find her leg first. Awe, such a shame. The gang finds the drugs and medical supplies. No easy escape. They are in the dark and have to find their way out. They have to make a run through regular zombies versus sick made zombies. Bob admits his lust for alcohol led to a death of their friend and now he is caught with a bottle in his bag and puts everyone at risk. Darryl puts him in his place but Tyrese says let him be because he made his choice. Rick lets Carol know that it was not her decision to make and lets her know that Tyese will kill her and the others will not want her there. Rick says he doesn't want her there if he has a choice. Carol acts like it should all be forgiven. Rick tells Carol to leave and find a new place. They split up their supplies and go their separate ways. I think Carol is more warped than we originally understood. She lost a daughter and I think we all forgot this aspect. Carol talks about not having fear and changing. Well we can all see she really changed from that abused woman in the first season. What was that weird interaction over the jade with Michonne and Darryl. Are they just trying Michonne against different male characters to see if it will work. They just tried her with Rick the episode before last. You can tell Tyese is on the edge and you would figure that they would try to be supportive of him and try to talk to him. He is a man that is lost and they need to talk to him and find someway to get through to him. 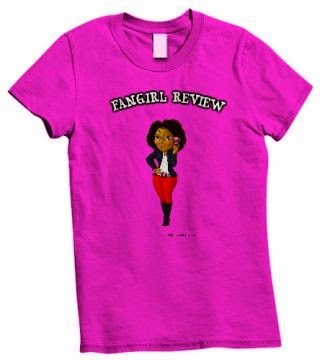 I respect Michonne for at least attempting. I have no respect for Bob. I work in the psychology field so I understand addiction and alcoholism but it’s a shame to see someone put their life and others at risk for a fix. 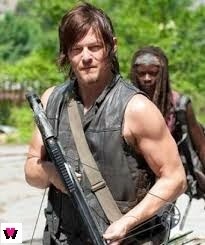 Now that the crazy Momma Bear is gone, what will happen to the group and how will Rick explain her absence?